Gili Trawangan is the biggest and most well known island out of the Gili Islands. 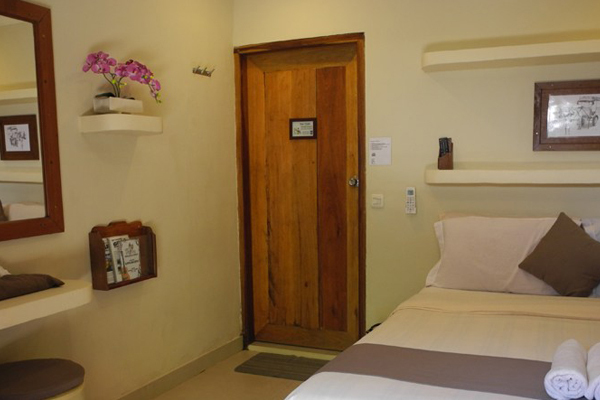 Gili Divers Hotel is located on the main strip, just 20 steps away from the beautiful turquoise ocean and white sand beaches. 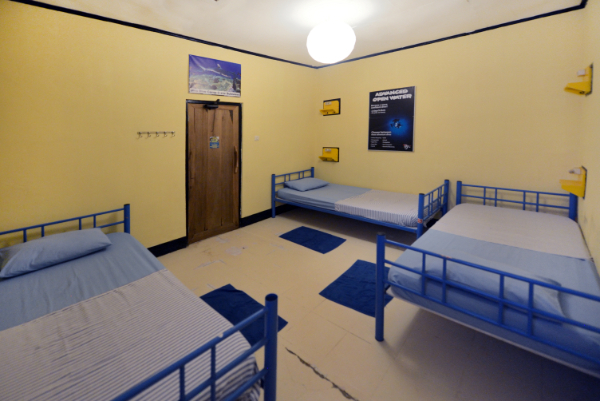 Our two hostels, Gili Castle and Gili Mansion, which provide both dorm rooms and private rooms with a great social areas to meet like-minded travellers. 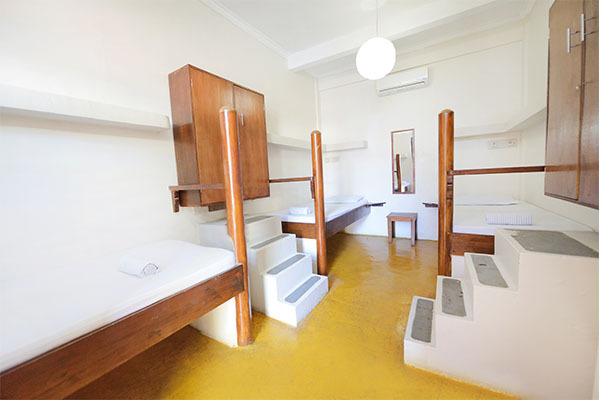 Our hostels are just minutes walk away from the best beaches, restaurants, bars and clubs on the island. So if you are up for a party or just want to relax and enjoy your stay, we have all that you need if you stay with us! Diving customers staying in any of our places will be entitled to a significantly discounted price for their accommodation while diving with us. Contact us for more detailed dive&stay package offers and prices!